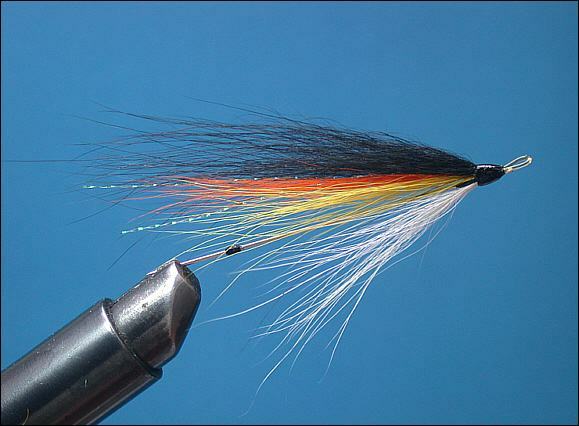 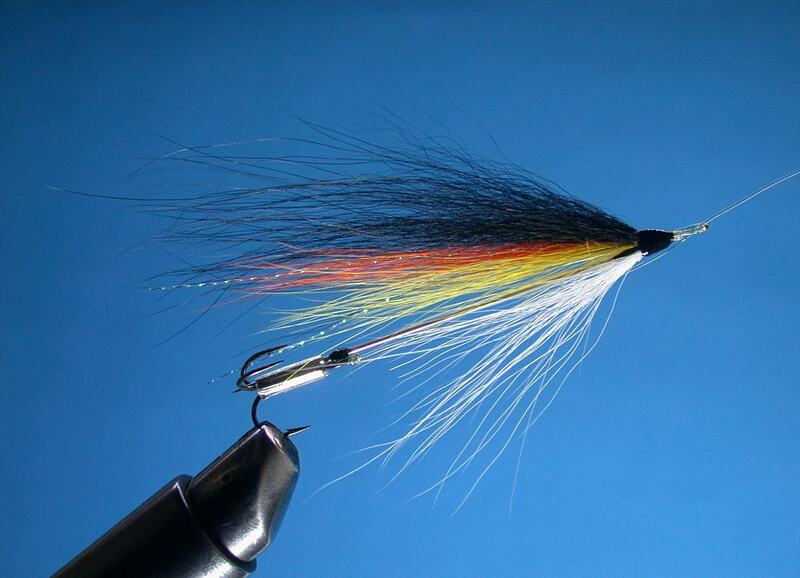 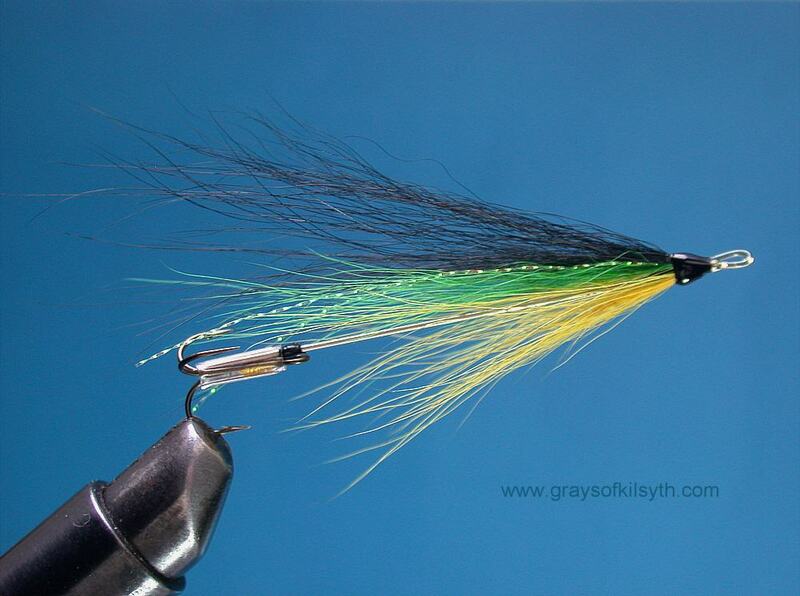 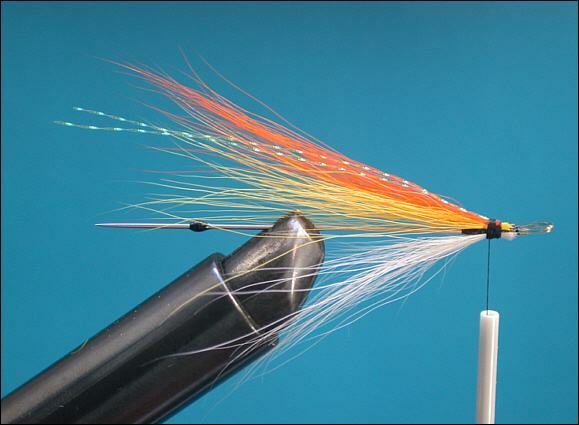 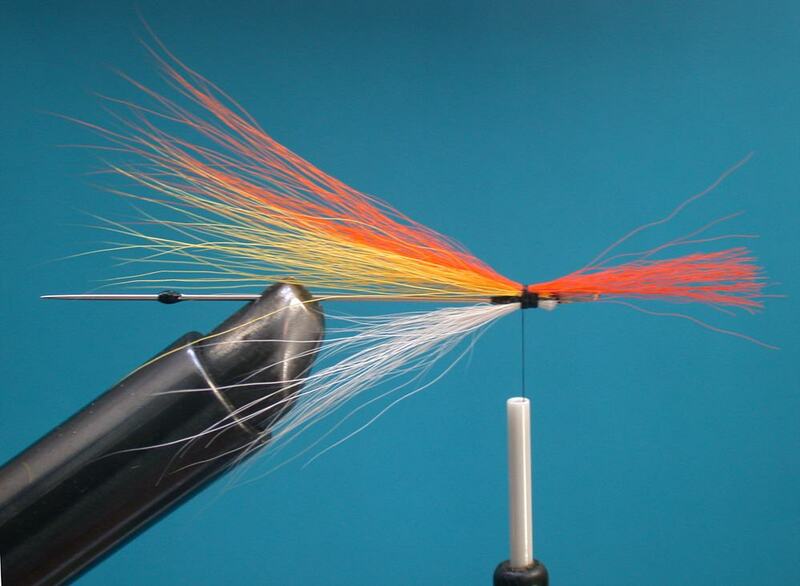 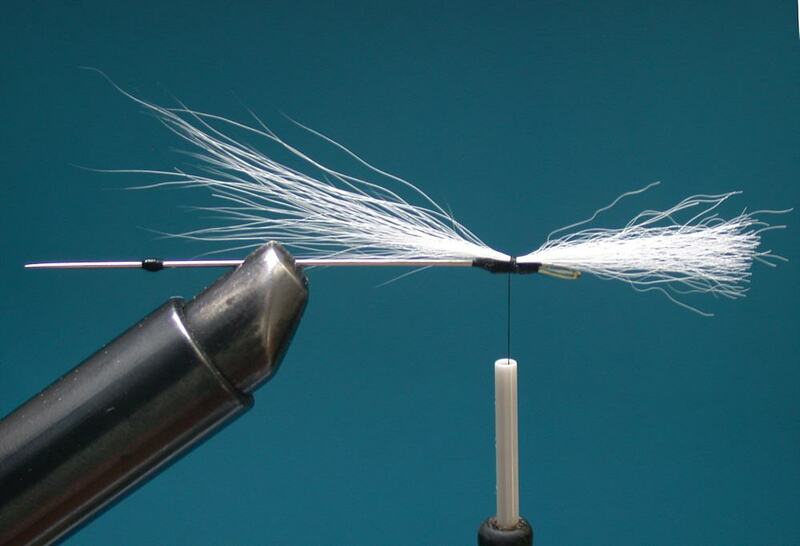 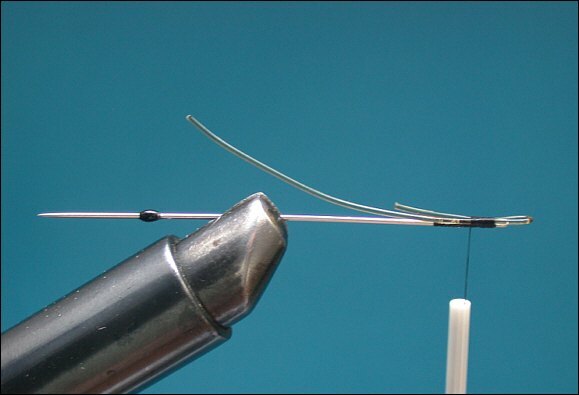 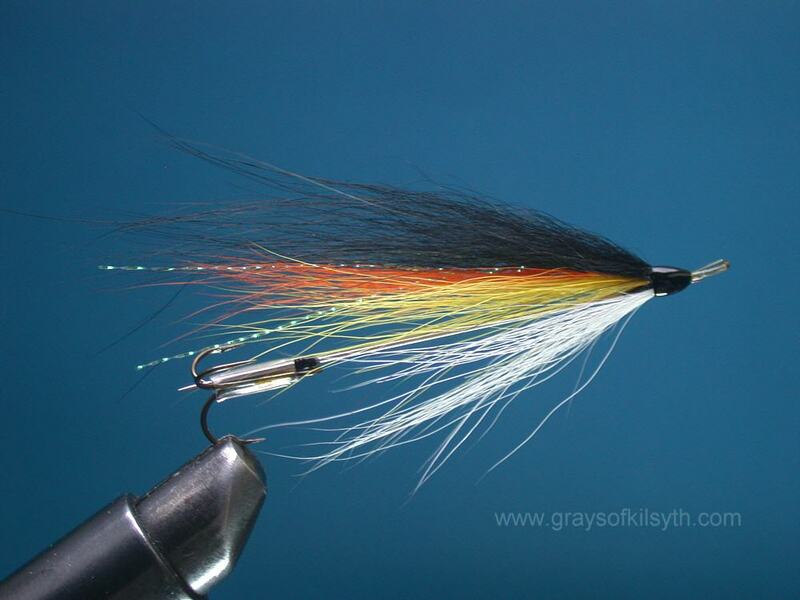 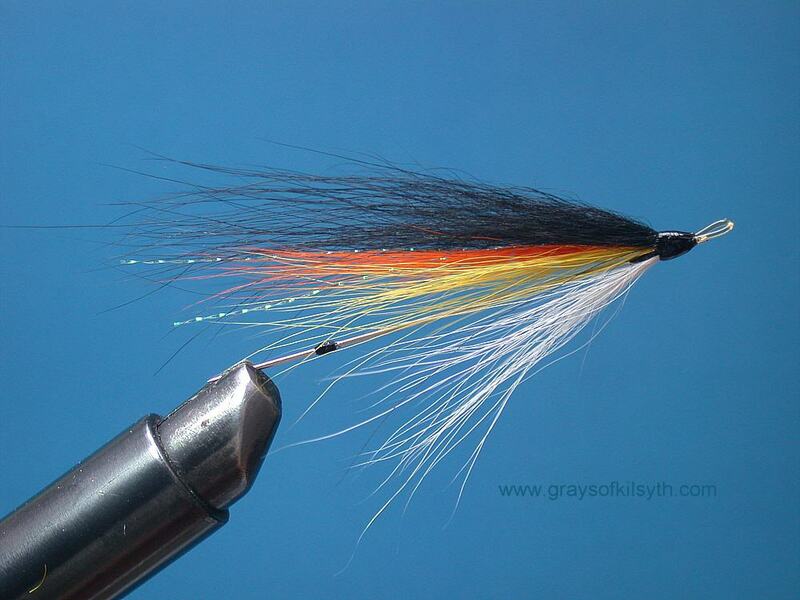 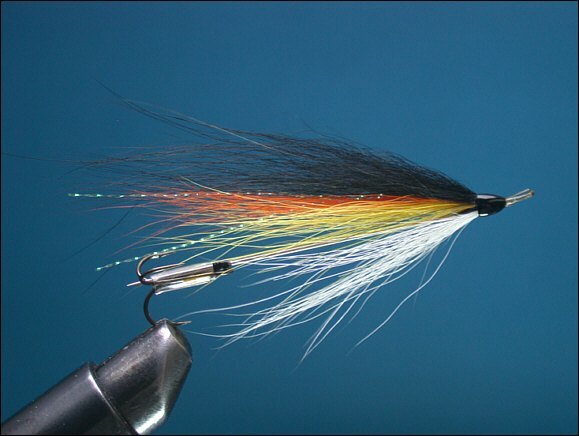 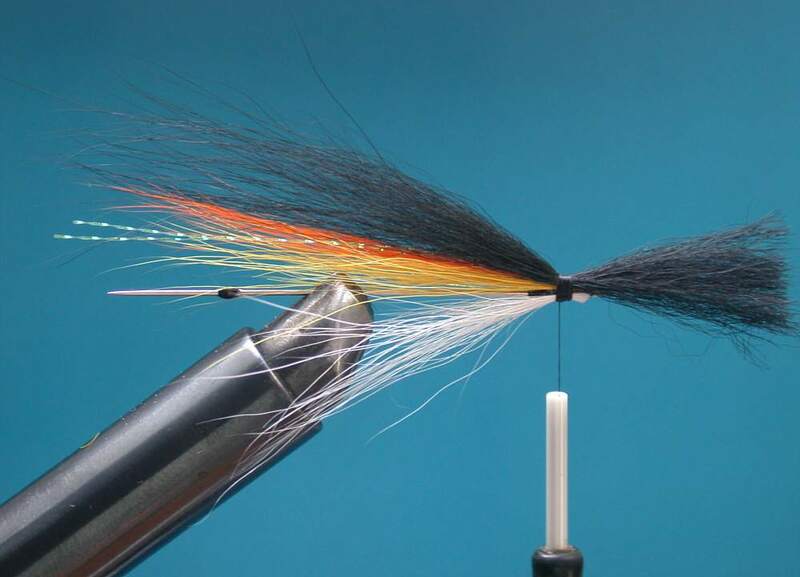 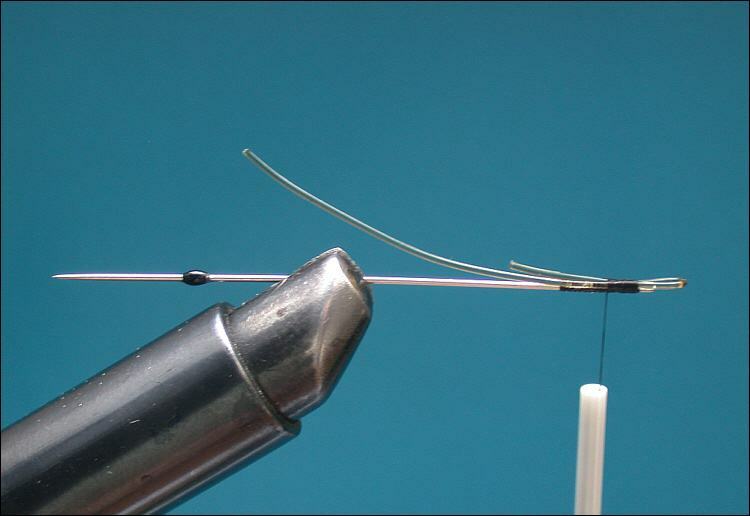 The Needle Fly was devised in the late nineties, as an ultra-slim alternative to the tube fly and Waddington lure for late night sea trout fishing on the River Earn in Perthshire. 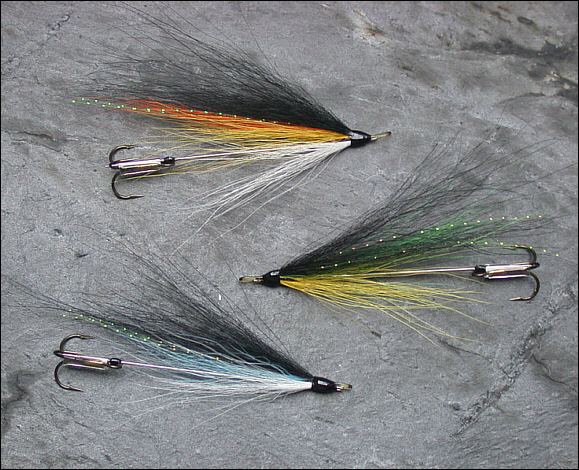 Since then it has accounted for the majority of my sea trout and a few salmon, too. Here is a step-by-step sequence of how to make a needle fly. 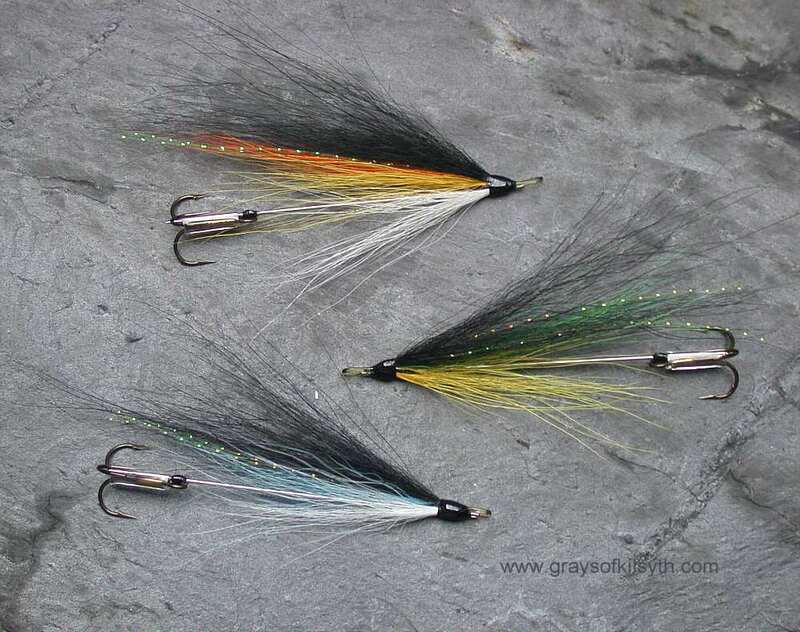 The dressing may, of course, be varied to taste. 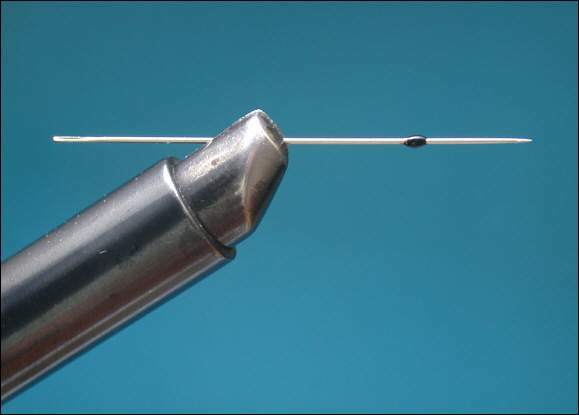 Step 1: Secure needle in vice and tie a short "stop" or bump of thread one centimetre from the needle point. Apply two coats of varnish to the stop and allow to dry. 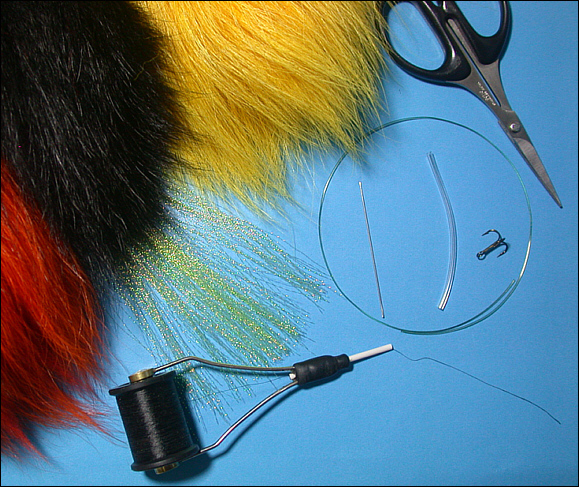 Step 2: Reverse the needle and lay a bed of tying thread at the head and varnish. 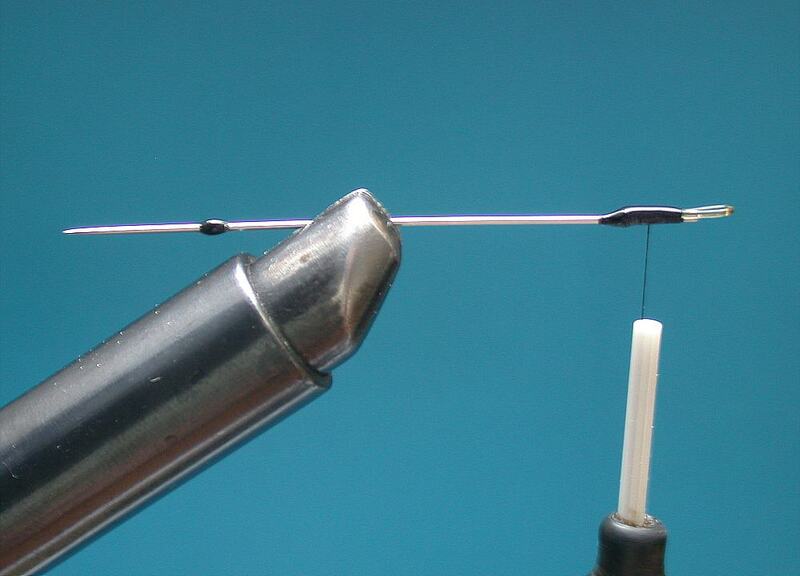 Step 3: Tie in a loop of nylon. 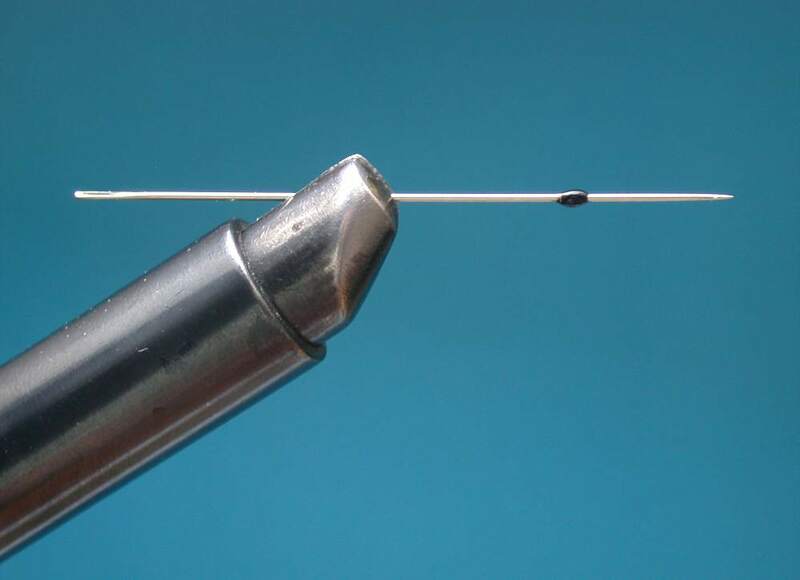 Step 4: Trim the ends of the nylon, secure with a layer of thread and varnish. Step 5: Tie in a bunch of white Arctic fox hair. 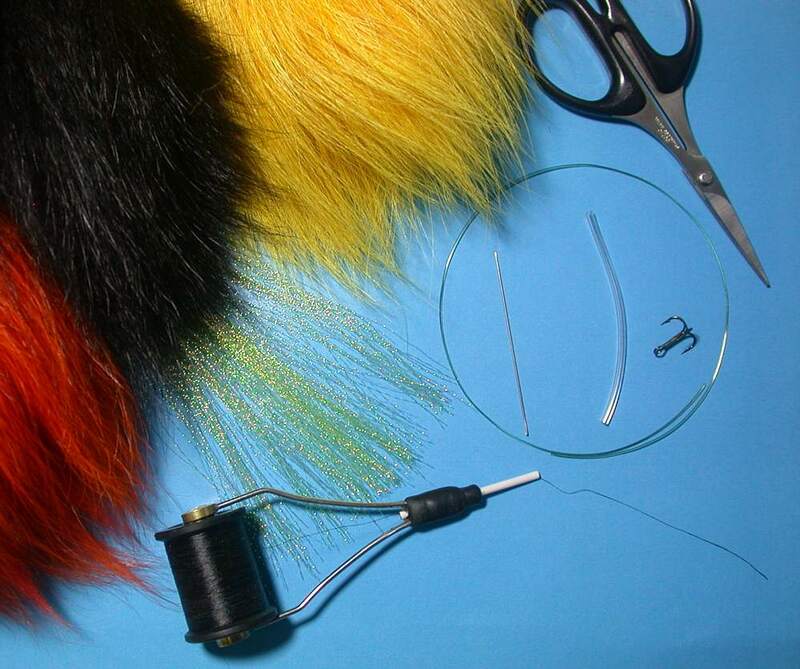 Step 6: Turn needle upside down in vice and tie in a slightly longer bunch of yellow Arctic fox hair followed by a bunch of orange Arctic fox hair. 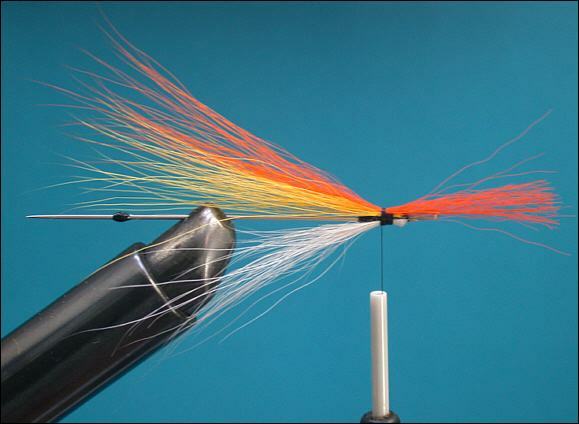 Step 7: Add a few strands of Krystal Flash to taste. 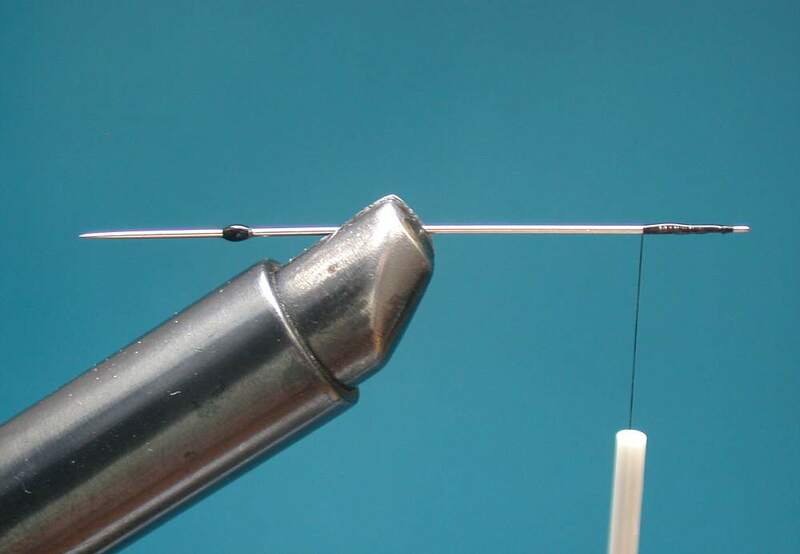 Step 10: Cover the shank of a suitable treble hook with a short length of tight fitting PVC tubing, which allows the needle to be secured to the hook. 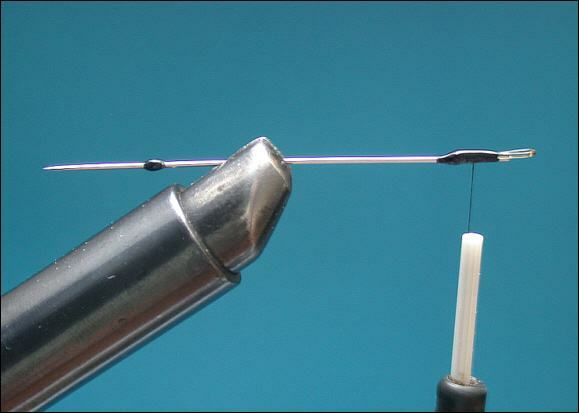 To attach the hook to leader, slip the leader through the nylon loop at the head of the needle fly, tie on the adapted treble hook and push the point of the needle into the PVC sheath as far as the thread stop, so that the nylon leader lies along the underside of the fly with the needle on the top side of the treble hook. 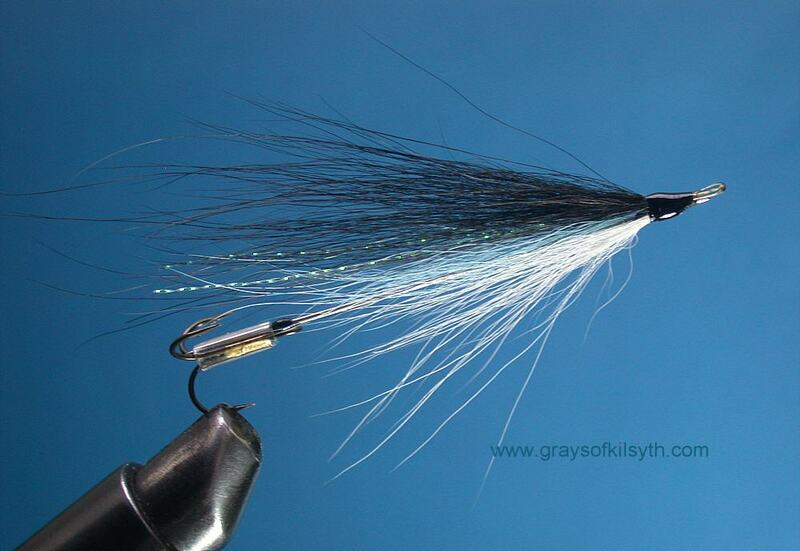 I like to store the adapted hooks and needle flies separately in a foam lined box until needed.